I hate props in portraits. Props always direct the attention away from the subject. So my advice is: Don't do that. 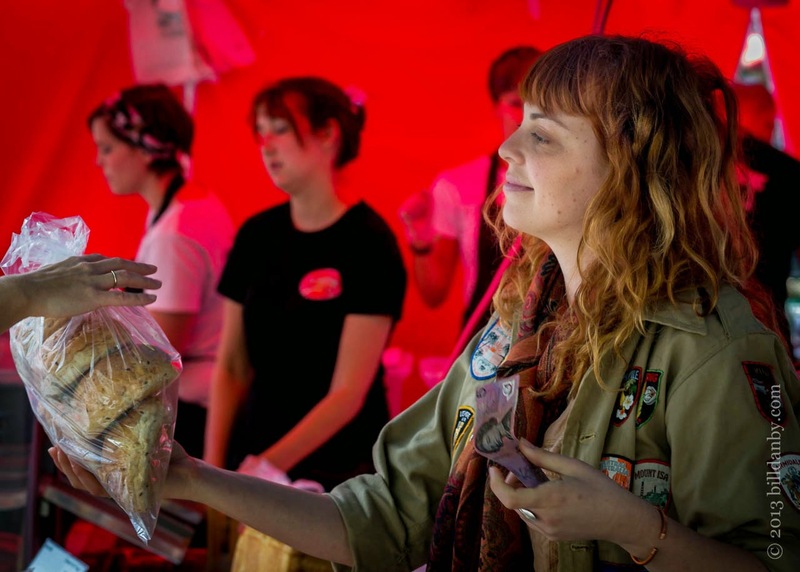 If someone is actively engaged in a task (handing the rolls in the picture above, for example), then the rolls aren't a prop. But if that person posed for me and held that same bag of rolls in her hand, then the rolls would be a prop. There are times when an object isn't a prop, it's a subject (or co-subject). If for example you were photographing a musician, then your message might be, "this is a trumpeter." If that message is as important as your image of the person, then the trumpet goes in. Done rightly, the environment isn't a prop. But done badly it might be. In any case, I would need a great reason to direct the attention away from my subject in any portrait. Are there exceptions? You tell me. 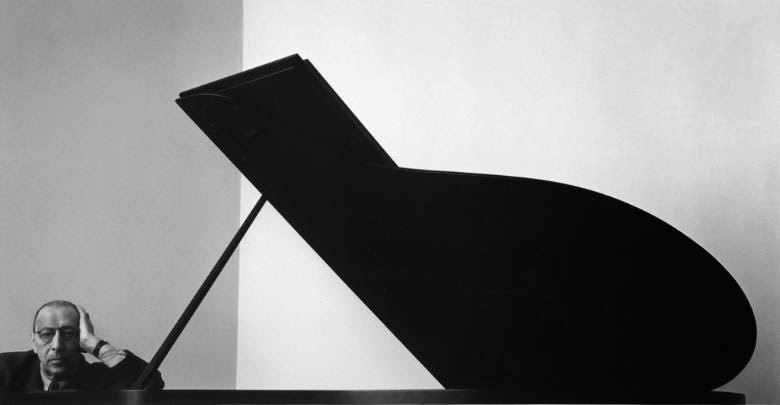 Is the piano in Arnold Newman's portrait of Igor Stravinsky (one of my favourite portraits) the environment, a subject, or a prop? Newman was a master of bringing the environment into his portraits. If you have a few moments you should go to ArnoldNewman.com and have a look.